UPDATE: The Fringe is now over for another year. Thank you to all the artists who worked with us and to you for going to support local arts. With the Adelaide Fringe Festival starting soon with over 900 events all over Adelaide how do you get your event noticed? As a performer ideally you want as many people pre-booking and talking about your event as possible right now. As a fringe festival participant you don’t want to miss out on all the popular shows so you really need to start re-booking now as well. To raise everyone’s awareness of THE wonderful diversity of events and in particular come to your particular show having lots of glossy colourful flyers and posters is definitely the way to promote your show. Whether you are handing the flyers out in Rundle Mall, down at the Garden or Unearthly Delights or the wonderful newly expanded Royal Croquet Club a small DL (210 x 99mm) or A6 (148 x 105mm) size flyer is a great cost effective way to promote your show. The Adelaide Fringe Festival is known as one of the most diverse arts festivals in the world full of spontaneity and fun. Performers have found when they are out there amongst the festival goes giving out flyers they are able to pick up on that spontaneity and people come to their shows…….they are in the buzz of it all. Another proven great way to promote your Fringe Festival event is through colourful posters. Get them plastered where ever there are possible fringe goes, which really is anywhere in Adelaide during February and March. Posters in shop windows, pubs, bars, train station, hotels and universities are all great ways to gain expose for your fringe event. A great idea is to get your posters printed on a re-usable stock that you can just adhere the posters anywhere during the Adelaide Fringe Festival and then at the end of the Adelaide Fringe Festival take them down and then reapply at your venue or fringe place…..maybe the Melbourne Comedy Festival. By using special re-usable stock that can be re-applied and re-applied you will get a lot more value out of your posters. Come and see us at Print Mint in the heart of Adelaide for all the various options we can offer for promoting your Adelaide Fringe Festival event. 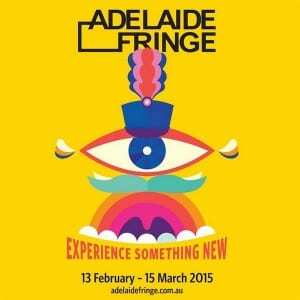 WE LOVE THE ADELAIDE FRINGE FESTIVAL.